Trump challenged the probe’s existence over the weekend and strongly suggested political bias on the part of Mueller’s investigators. “As the speaker has always said, Mr. Mueller and his team should be able to do their job,” said AshLee Strong, spokeswoman for House Speaker Paul Ryan. A spokesman for Senate Majority Leader Mitch McConnell referred to comments that McConnell made in January saying he wasn’t worried that Mueller would be ousted. Two bipartisan Senate bills introduced last summer, when Trump first started criticizing Mueller’s probe, would make it harder to fire a special counsel by requiring a judicial review. But Republicans backing the bills have not been able to agree on the details, and Senate Judiciary Chairman Chuck Grassley has shown little interest in moving them. McConnell has said he thinks they are unnecessary. That came last summer, when Trump’s legal team — then led by New York attorney Marc Kasowitz — was looking into potential conflicts of interest with Mueller and his team and planning to make a case to have him removed, according to people familiar with the strategy. Those people spoke on condition of anonymity to discuss the private conversations. 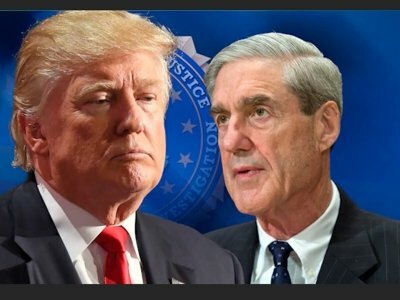 Some of Mueller’s investigators indeed have contributed to Democratic political candidates including Hillary Clinton, but Justice Department policy and federal service law bar discrimination in the hiring of career positions on the basis of political affiliation. Mueller is a Republican.